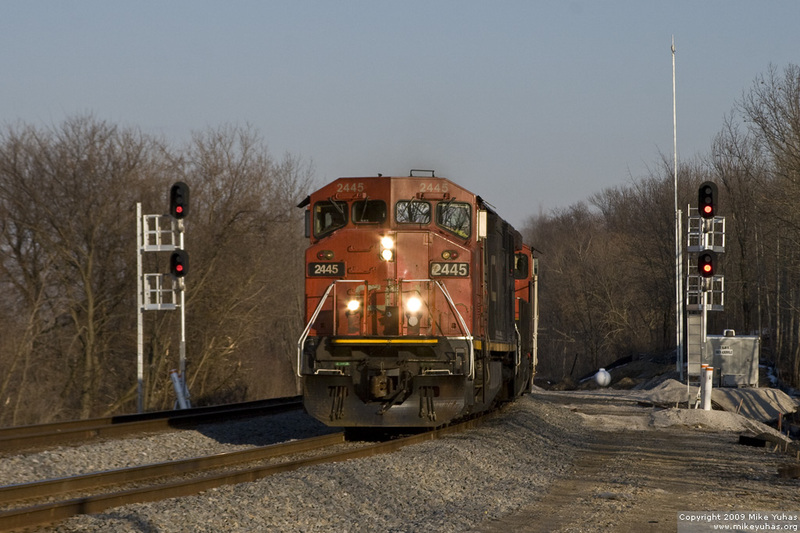 A northbound CN train hustles past the new South Ackerville interlocking, completed just a couple months ago. Train is on the main; the siding is to the left on the approximate alignment of the former main track. Siding was installed to allow easier operations for southbound trains switching the yard at Ackerville.